The terminal is designed as a hollow sphere, with seven narrow slits in its wall, stuck on a rod and crowned with the figure of a stag. 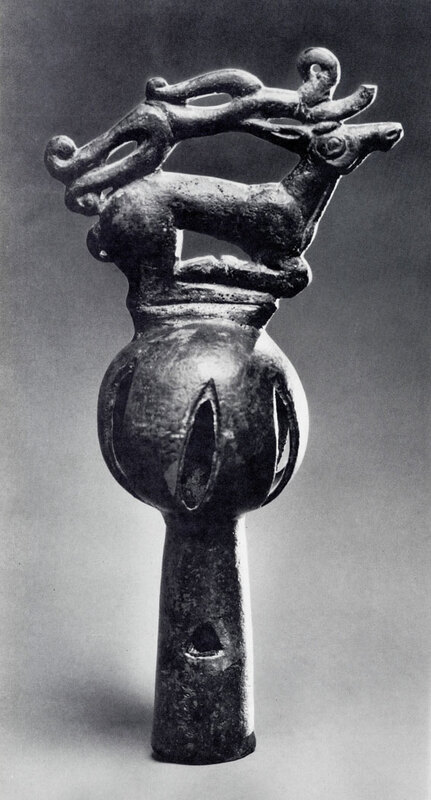 During the Scythian period, such terminals were widely common all over the large territory now occupied by the USSR. This article is remarkable for its perfect proportions, superb workmanship and artistic merit. It skilfully combines a realistic representation with purely ornamental elements. Silver, gilt, with filigree, granulation and coloured glass and paste inlays. Acquired in 1970 from a private collection. First publication. Belts formed part of both male and female costume throughout the Caucasus. The buckle reproduced here belongs to a Circassian belt, so called because it was wide spread in the North Caucasus, particularly in Circassia. 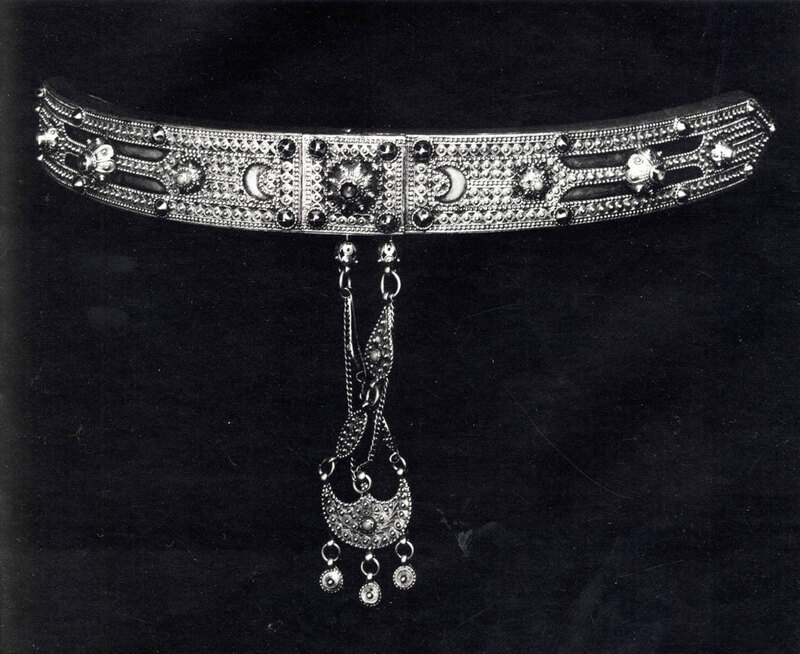 The jewellers produced only buckles, for the belts themselves were made of leather, velvet or galloon bands as is the case with the present article.